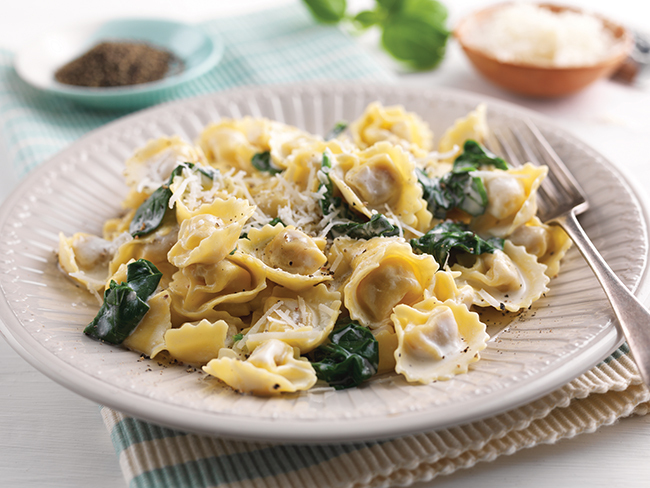 Creamy pasta dishes are the ultimate comfort food, and this creamy gluten-free tortellini dish is no exception! Add the white wine and leave to simmer for a minute. Meanwhile, bring a separate pan to the boil and cook the pasta according to pack instructions. Add the cream, spinach and Parmesan to the frying pan.